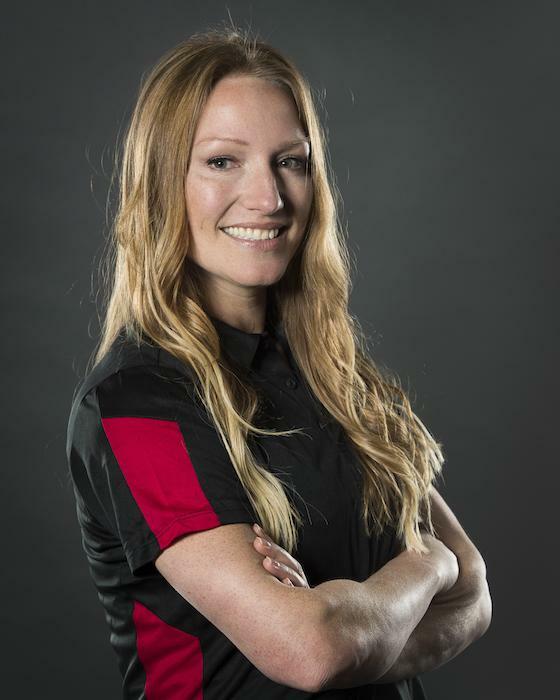 As a dual national sport athlete in bobsleigh and rugby, Heather Moyse is a remarkable example of passion and dedication to sport and life. After being recruited to the sport of bobsleigh in August 2005, Heather has developed into one of the top brakemen in the world while pushing Helen Upperton to fourth place at the 2006 Olympic Winter Games. After taking one year off to finish her master's degree Heather returned to bobsleigh in 2008 where she went on to team up with Kaillie Humphries to win Canada’s first-ever Olympic gold medal in women’s bobsleigh at the 2010 Games in Vancouver-Whistler. Regardless of who Heather is pushing on the icy chutes, she has a track of medal-winning performances and start records around the world. Since 2004, Heather also represented Canada as a member of the National Senior Women’s Rugby team, and was the leading point-scorer in tries for the whole tournament and the only Canadian selected to the All-Star team at the Women’s Rugby World Cup in 2006. Heather also made her debut with the National Women’s Rugby Sevens team in March 2008 in Hong Kong, and was part of the silver-medal winning Canadian squad at the 2013 World Cup in Russia – just months removed from having hip surgery. Weeks after returning to Canada from her stint with the Canadian Rugby Team, Heather returned to the Canadian bobsleigh program where she successfully defended her gold medal with Kaillie Humphries at the 2014 Olympic Winter Games in Sochi, Russia. The Canadian duo were also named Canada’s flag bearers for the Closing Ceremonies. Heather wasted little time proving she remains one of the top brakemen in the word as she shattered personal best start times and records in early season testing. After taking three years off to share her story to encourage others to believe in the possibilities of achieving their dreams, Heather published a book Redefining Realistic in time for a fourth journey to the Olympic Winter Games. Following the message she shares in many of her keynote addresses, Heather made the decision to share her experience, talents and knowledge to push the next generation of Canadian bobsleigh athletes towards PyeongChang 2018. Not only does Heather believe that sport is an amazing means to discover one’s potential in the face of challenges, but that it is also an ideal medium for development at the individual, community, and national levels. In 2001, Heather was selected to serve as a Disability Sports Program Officer with Commonwealth Games Canada in Trinidad and Tobago. She developed and established a camp for children who are deaf or hearing-impaired from islands across the Caribbean called Camp ABLE (Active Bodies, Leadership, and Esteem). Heather remained in Trinidad and Tobago for almost three years doing other work with the Paralympic Association, Disabled People’s International, and the Trinidad and Tobago Rugby Union. Since returning to Canada to do her Masters in Occupational Therapy, she has continued to serve as a Member-at-Large for Commonwealth Games Canada with an avid interest in international development through sport. Having been born and raised in Summerside, Prince Edward Island, Heather is a true Islander through and through, and takes any opportunity to go home for some Maritime air. Heather helps out with Island events and fundraisers as much as she can, to give back to the community that contributed so much to making her the person and athlete that she is today.